A confession: my most-played mobile games in the last 12 months were actually released a couple of years back. Yeah, I'm still playing The Battle Of Polytopia and Clash Royale. Both had major updates in 2018, so my interest remained hooked. Clash Royale may about to be overshadowed by Supercell's Brawl Stars, but I'm still a fan of the former – that 2v2 mode is just so addictive. 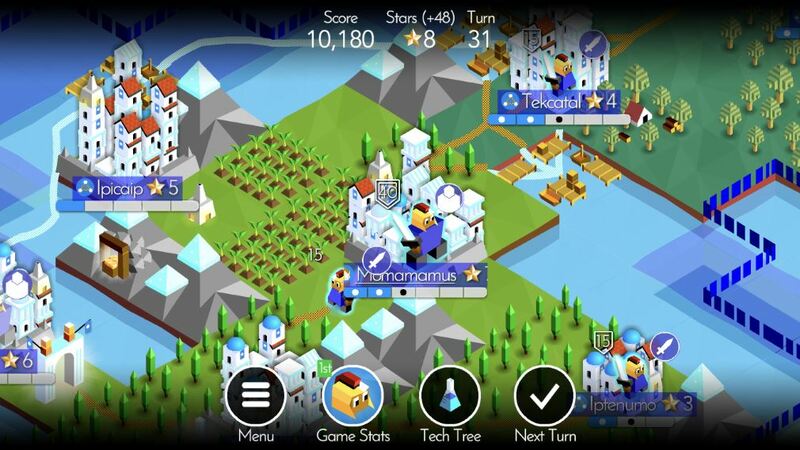 The Battle Of Polytopia, meanwhile, went multiplayer in 2018, and added new tribes. Both games should absolutely be on your to-play list this Christmas. However, there were also some fine additions to my iPhone this year. I've been so busy with the Pocket Gamer redesign and our official events that I've had less time to dive deep into something... so 2018 has mostly been about hypercasual games. There were plenty of shiny pick-up-and-play gems to be found recently. I've thrown Pocket City in there as well, because it ignited a nostalgic fire in me (Sim City was the first PC game I owned: fact). But otherwise it's mostly been about mobile gaming experiences I can easily dip into between meetings. 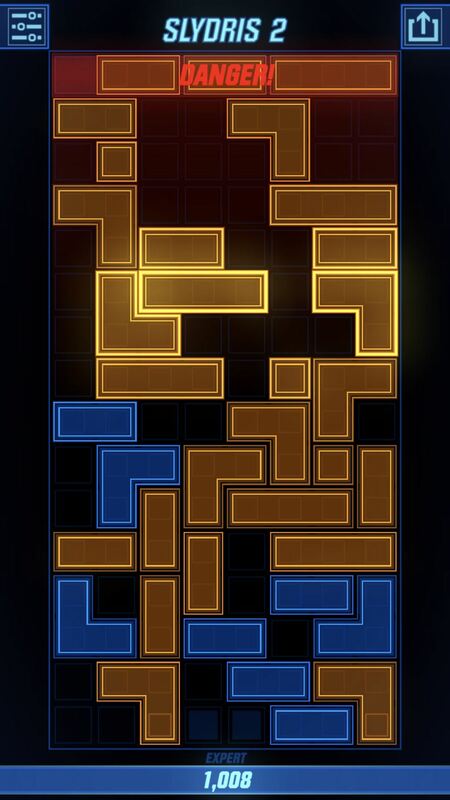 My go-to puzzle game at the moment, Slydris 2 refines the Tetris concept and creates a new version of the falling-block challenge that's uniquely suited to touch-screen phones. 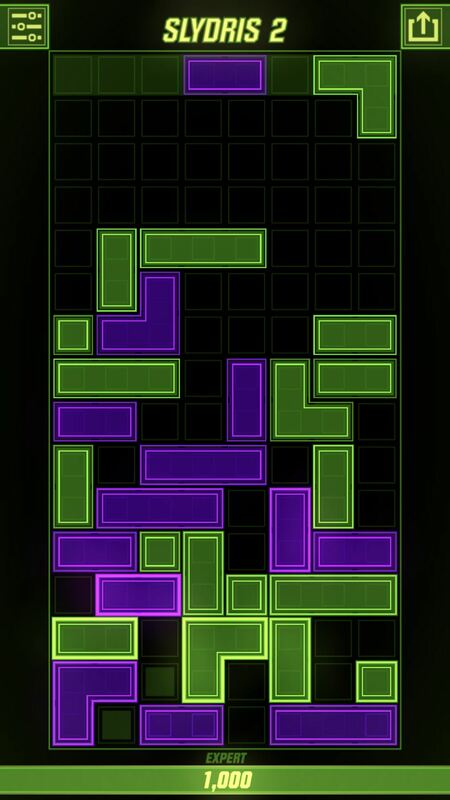 If you look at pictures of the game, the influence of Tetris just seems too uncomfortably prominent. 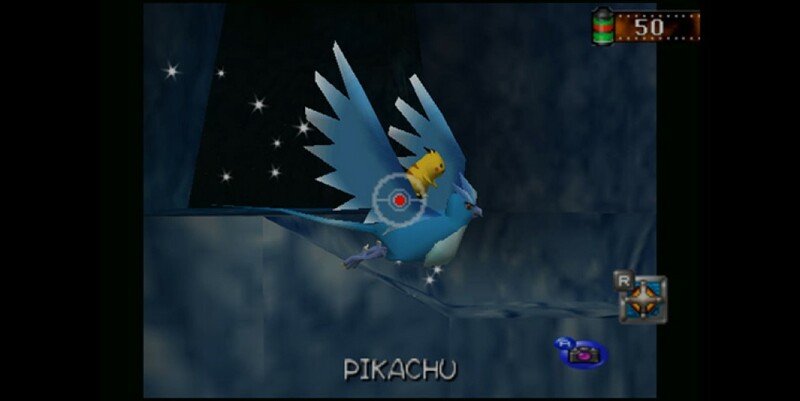 But the gameplay itself has one additional – and crucial – mechanic: you can slide blocks from side to side in previous rows. This means you can "correct" your earlier mistakes, and tidy up the shapes already on the playing field with your finger. Dressed up in neon visuals with a thrumming ambient soundtrack, the result is a fun block-stacking game that somehow feels retro and modern at the same time. Back in November our reviewer described it as "a glorious portable gaming throwback" and its icon is now a firm fixture on my home screen. 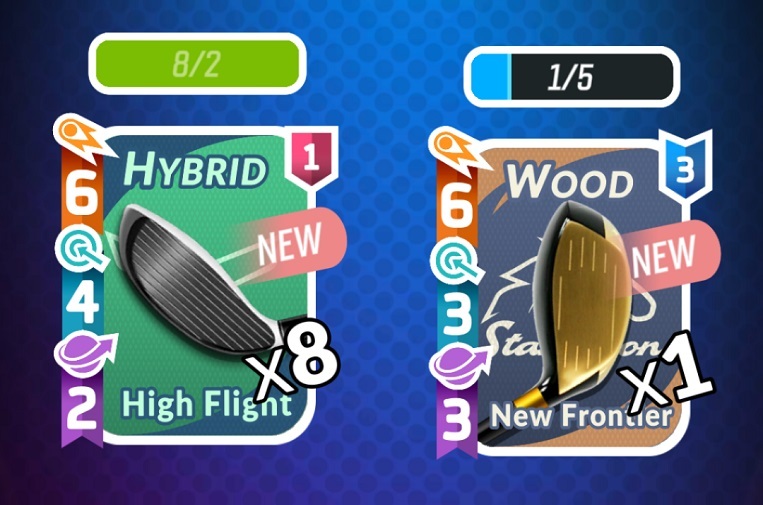 There's no shortage of mobile ball-and-cue games. Miniclip's 8 Ball Pool is arguably the leader, particularly if online multiplayer is your thing. But in 2018 we saw a new addition, in the form of a no-frills arcade game from the desk of Zach Gage, the indie creator of Really Bad Chess and Flipflop Solitaire. 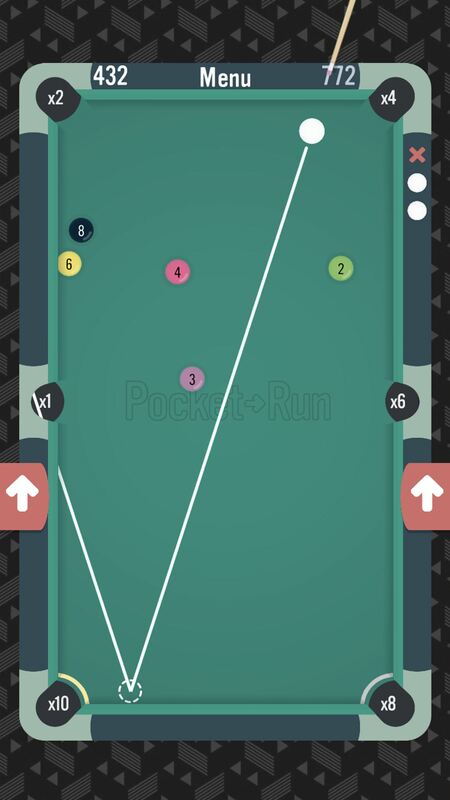 Pocket-Run Pool is a minimalist 2D ball-pocketing puzzle game. Using the cue is really straightforward and intuitive. The score system is ratcheted up a notch by a rotating system that requires you to pay attention to multipliers for different locations. There are daily challenges and high score tables, but really the joy comes from the simple thwack of cue against ball and the gentle thunk of ball on cushion. It's focussed and fast-paced but somehow really chilled out as well. We didn't review Cosmobot when it appeared back in August. But I found myself thoroughly addicted to it through the autumn. 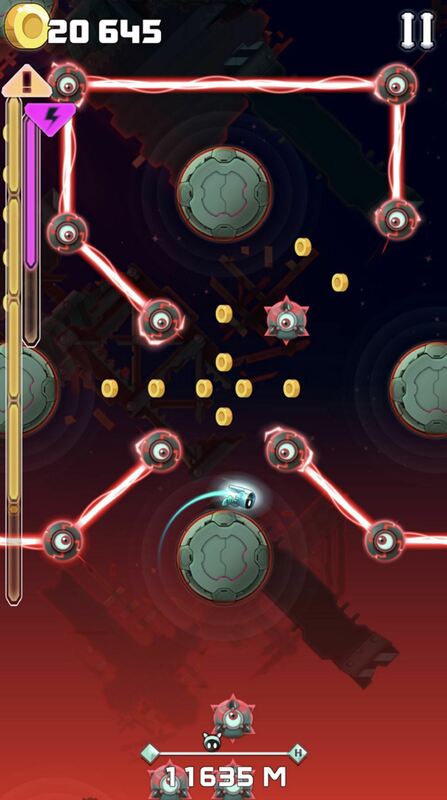 It's a frantic arcade puzzler based around orbital physics. Launch your bot into the air and it'll be attracted to planets and asteroids. You'll spin around them until you tap the rocket to launch again. If you crash into an obstacle it's game over. It's also not awesome to miss-time your leap altogether: if you fail to achieve orbit on the planet above you’ll plummet into space. 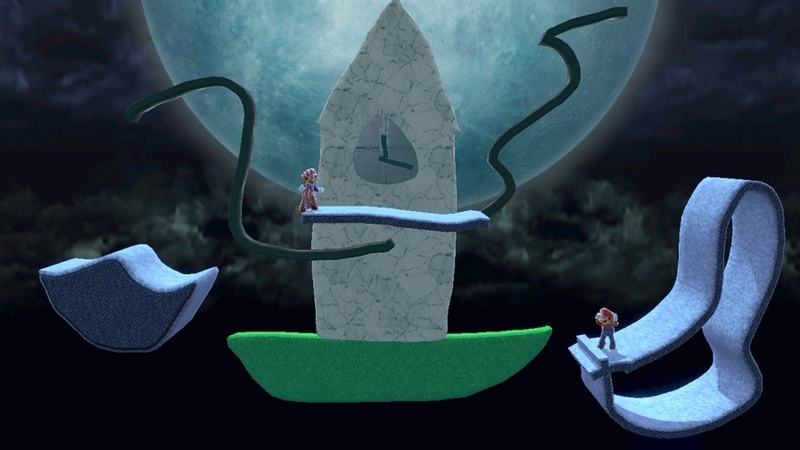 There are power-ups and upgrades and enough randomness to keep you replaying. 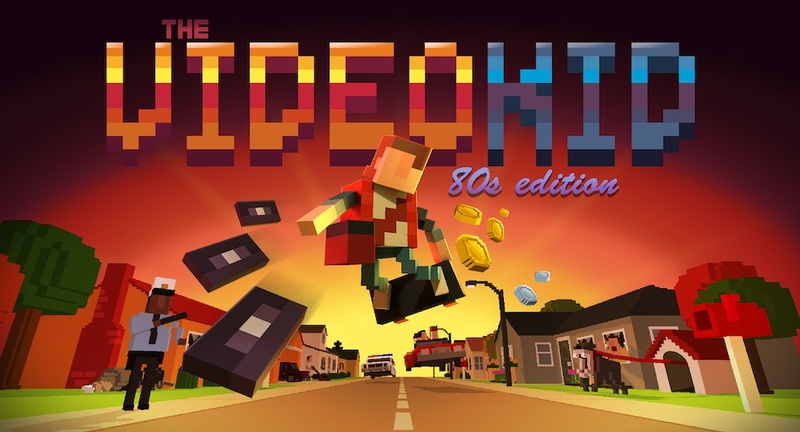 With a wailing retro-80s soundtrack and bright, cartoon-like graphics it's a very polished hyper-casual experience. I'm a sucker for a good city-building sim. 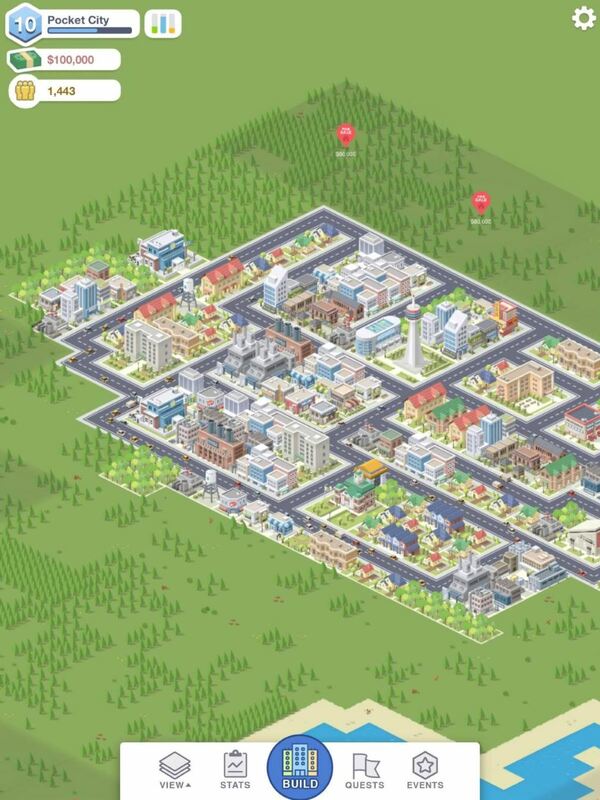 One of my all-time favourite franchises is SimCity, although recent incarnations have left me cold. Oh, for the 1990s, when SimCity 2000 was a premium game you could lose yourself in for hours. Guess what? Pocket City captures some of that glory. It is, perhaps, a little too easy, but its stripped-back gameplay and cute isometric visuals bring to mind earlier classics of the genre. Designed with the touch screen in mind, Pocket City manages to capture everything that's good about build-'em-ups and put it all in a package you can play on your phone. 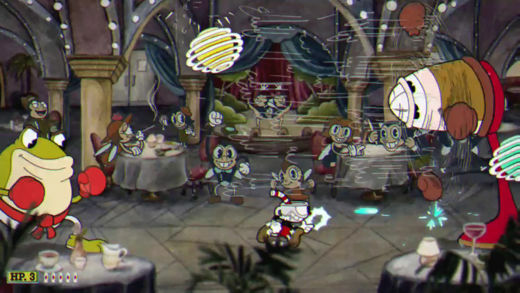 There's a story mode where you progress through a timeline unlocking upgrades, but the developers know what you really want to do is just settle down to some solid town planning, so the sandbox mode is available immediately – and it's a joy. Battle Royale this, Battle Royale that. If 2018 was defined by anything, it was the rise to dominance of that last-man-standing PvP formula. 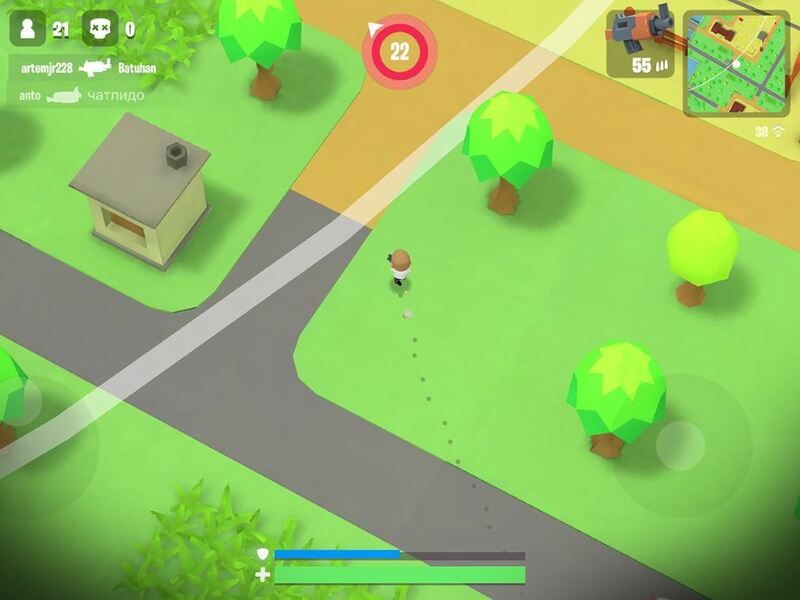 The mobile versions of Fortnite and PUBG dominated online chatter, but my head was turned by a much simpler experience which was designed for the phone from the ground up. Battlelands Royale is a top-down run-and-gunner which plays like a streamlined version of Fortnite. As always, your mission is to parachute onto an island, run around picking up guns and loot, then fight all-comers in a shrinking combat zone, until you're the only one left. But Battlelands Royale distils the template into a pocket-sized experience: only 32 players per map, comfortable move-and-aim controls, half a dozen weapon types, easy. We didn't review it when it hit app stores in March, and with Brawl Stars about to become the world's favourite competitive mobile game, it's possible Battlelands Royale will be overlooked. That would be a shame, as I've found plenty of shooty fun here. App Army Assembles - Does This is the Police do a bang up job?